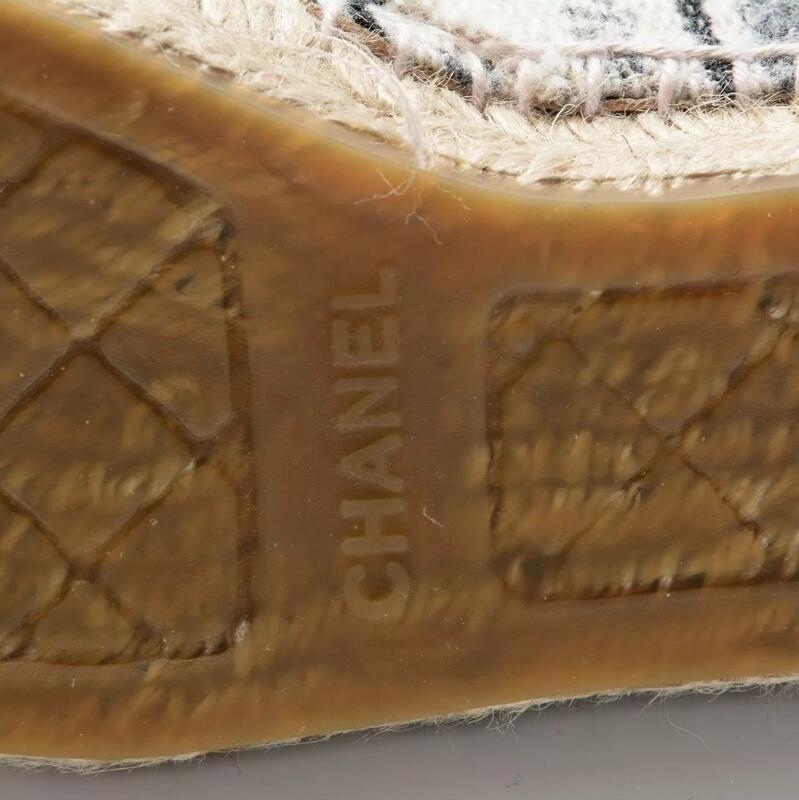 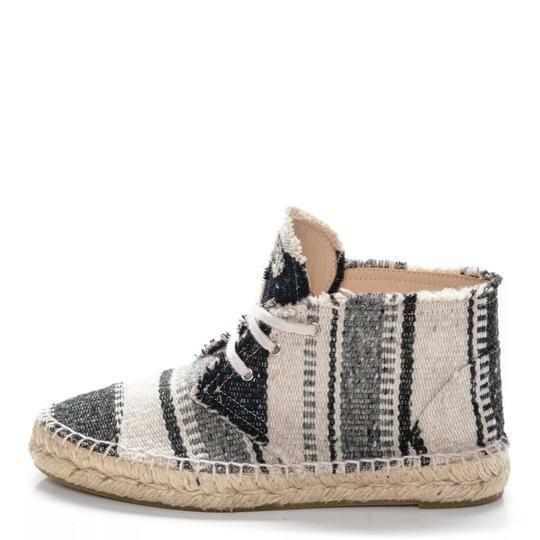 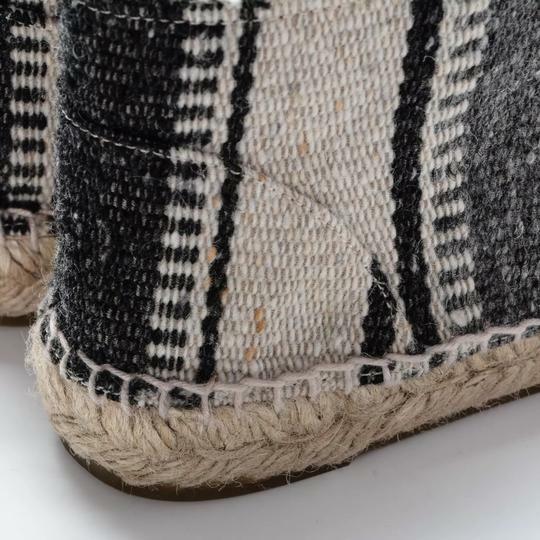 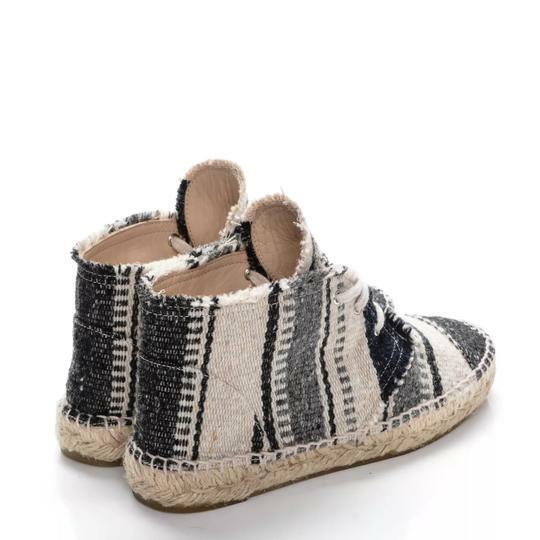 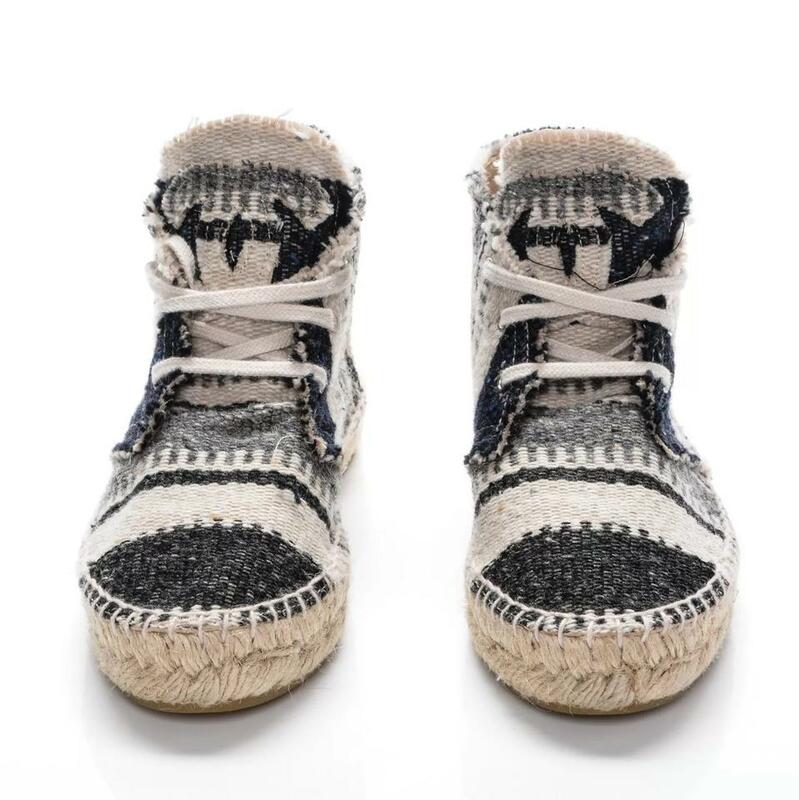 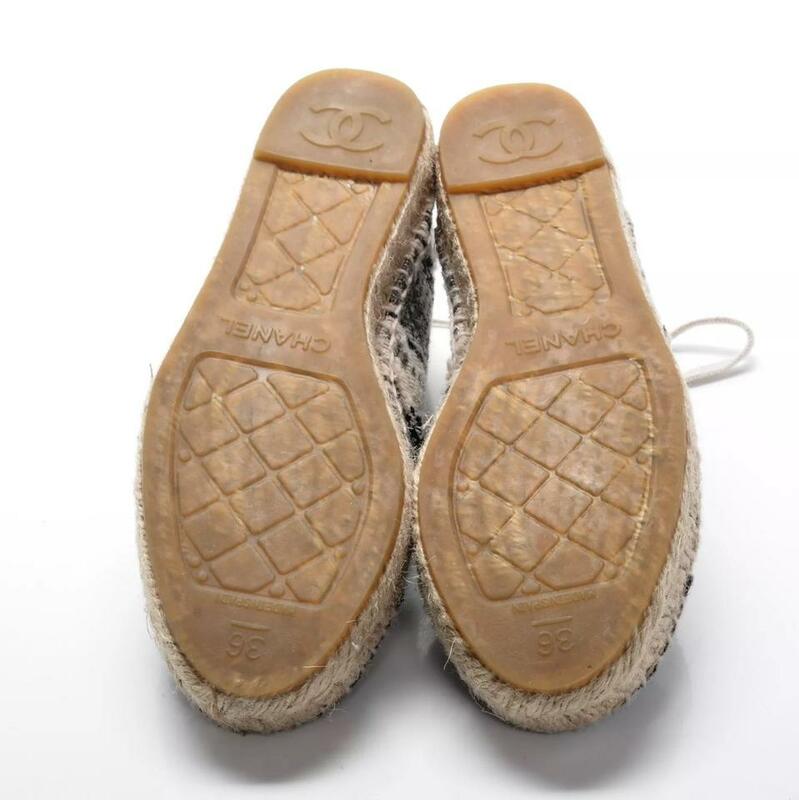 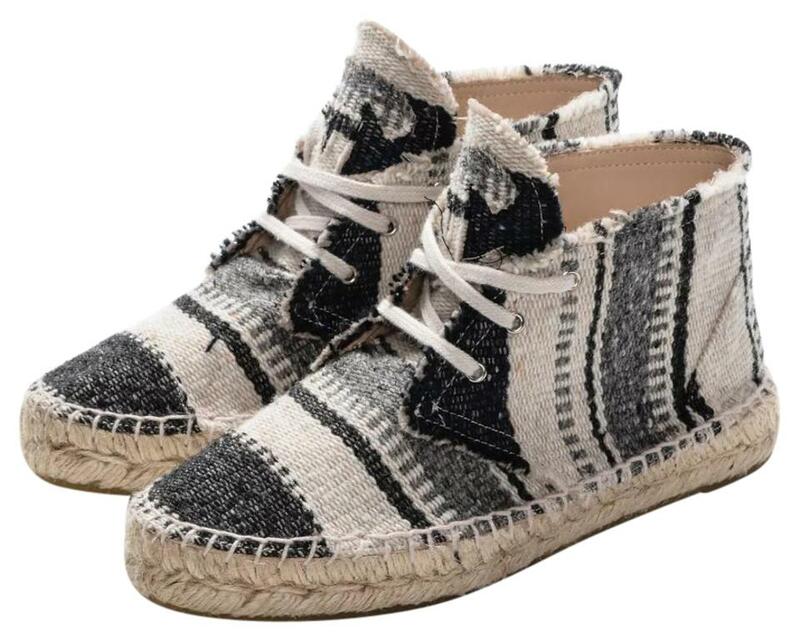 This is an authentic CHANEL Toile Striped CC Lace Up Espadrilles 36 Navy Beige These lace up espadrilles have a slim midsole with uppers of beige canvas with a grey and blue striped pattern. These are gorgeous espadrilles for a more natural and casual timeless style from Chanel. 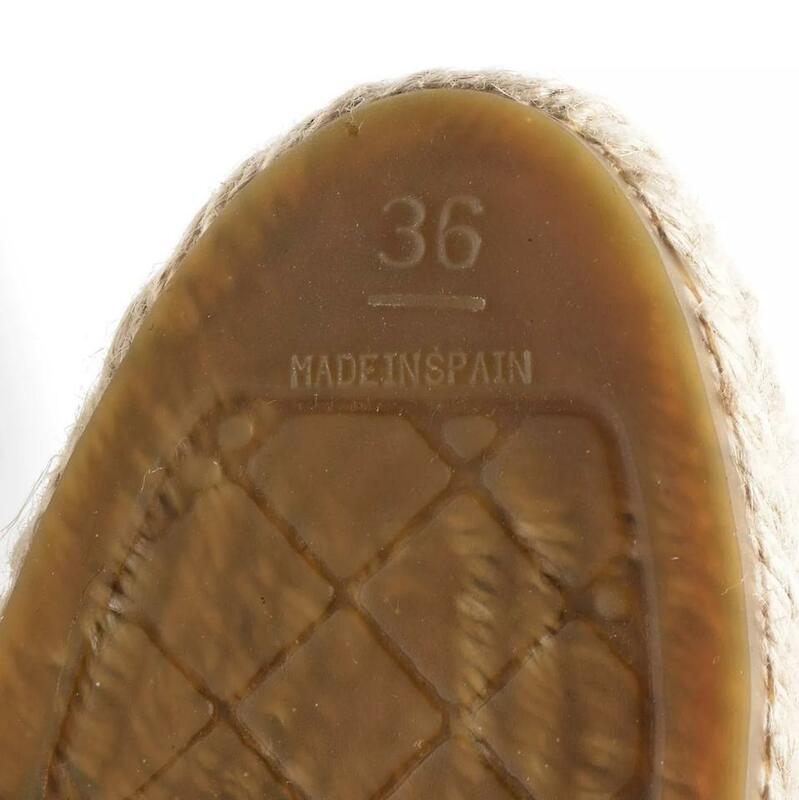 Size: Length: 8.5 insole", Height: 0.75"